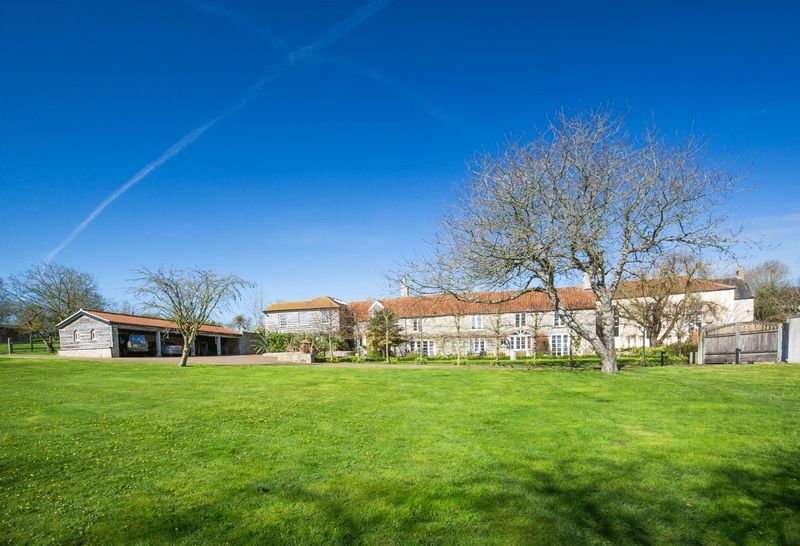 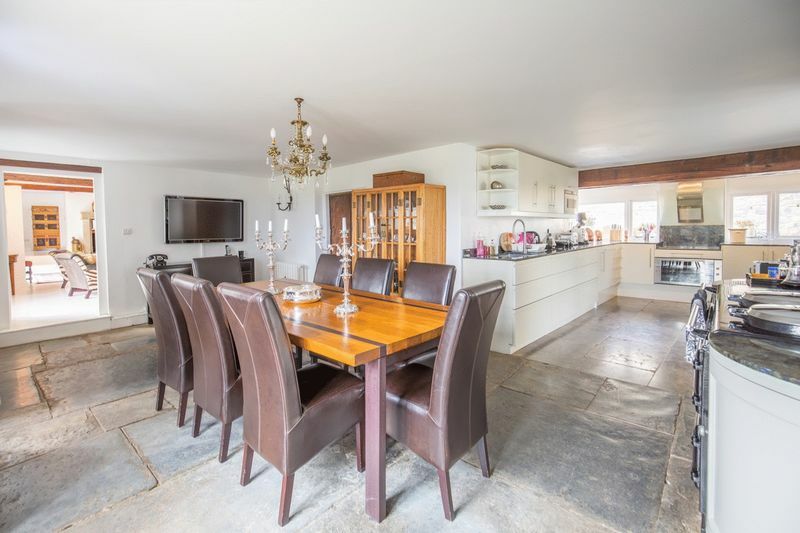 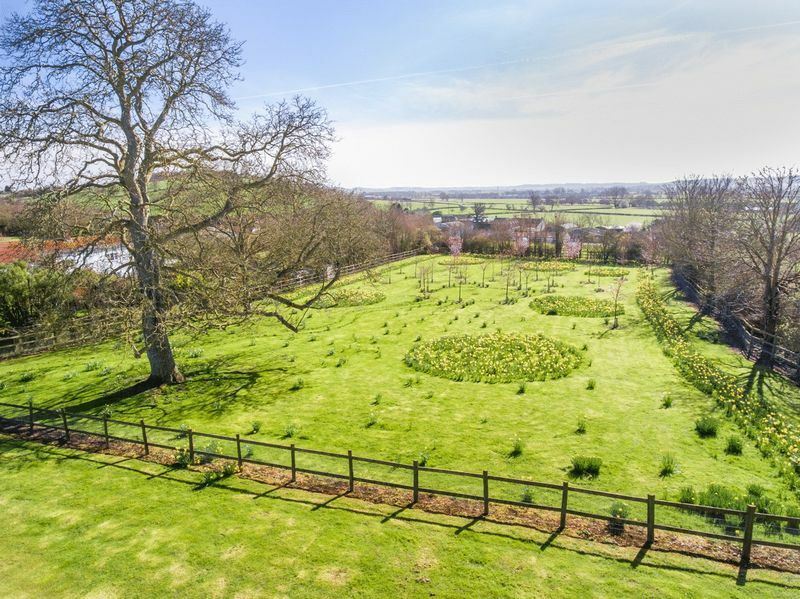 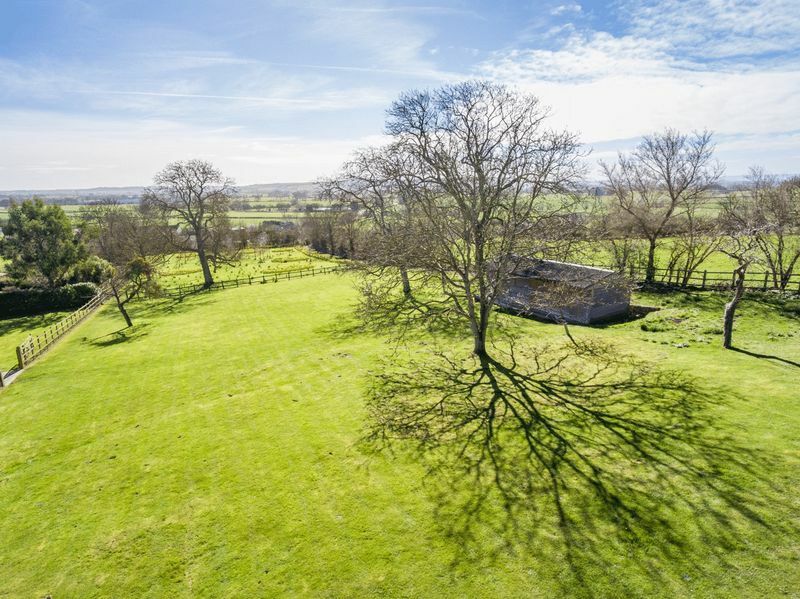 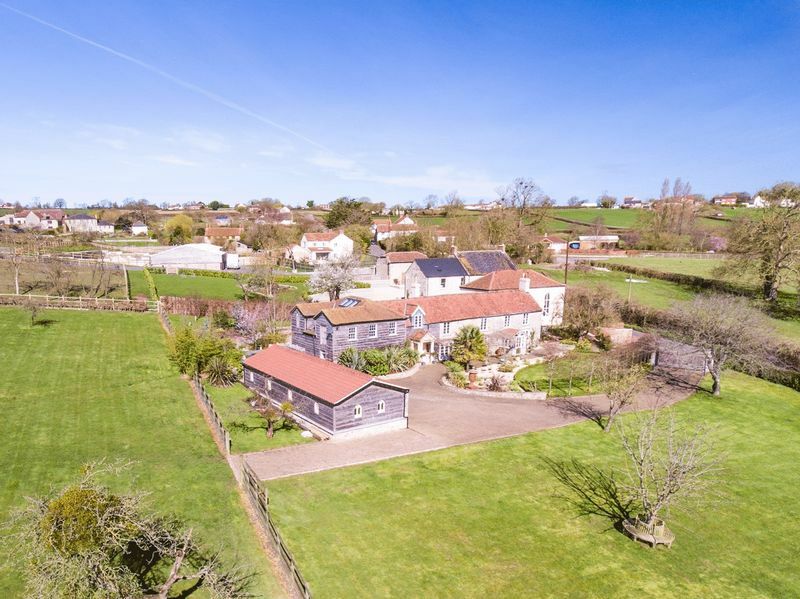 An absolutely stunning farmhouse, 4 reception rooms, a super kitchen, 5 bedrooms, 5 bath/shower rooms plus linked former "Chapel' with a large sitting/games room, bedroom and bathroom & grounds of 2.6 acres. 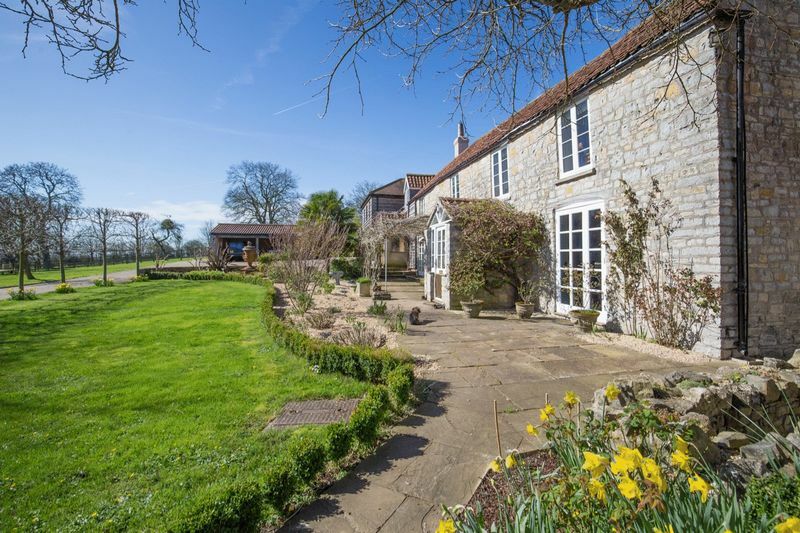 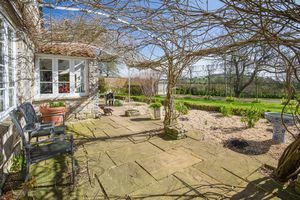 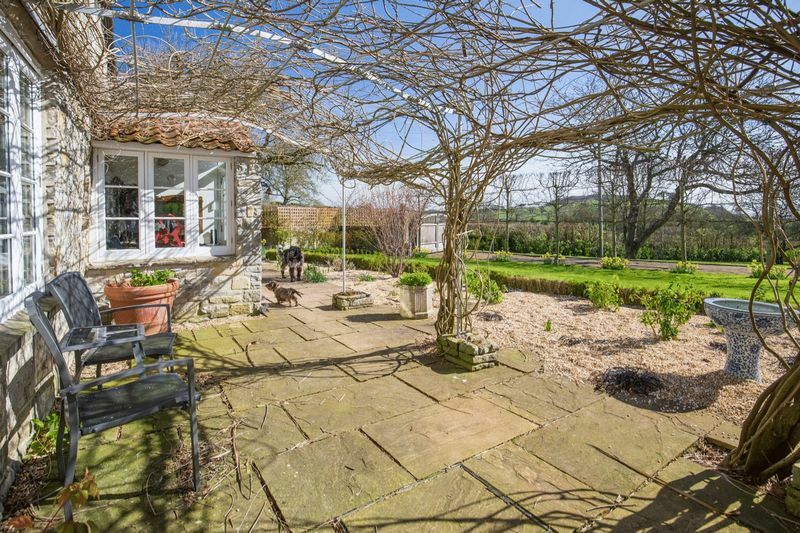 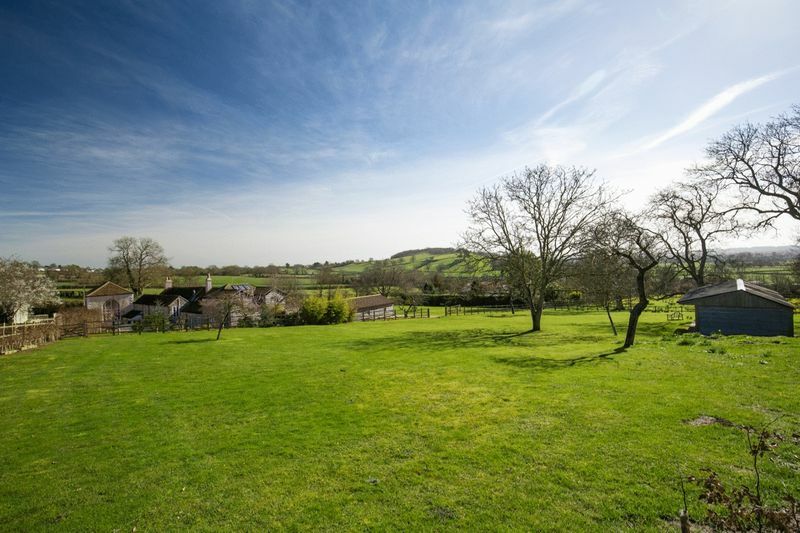 An absolutely stunning property in mature grounds in a beautiful south facing location a few miles west of Street and Glastonbury. 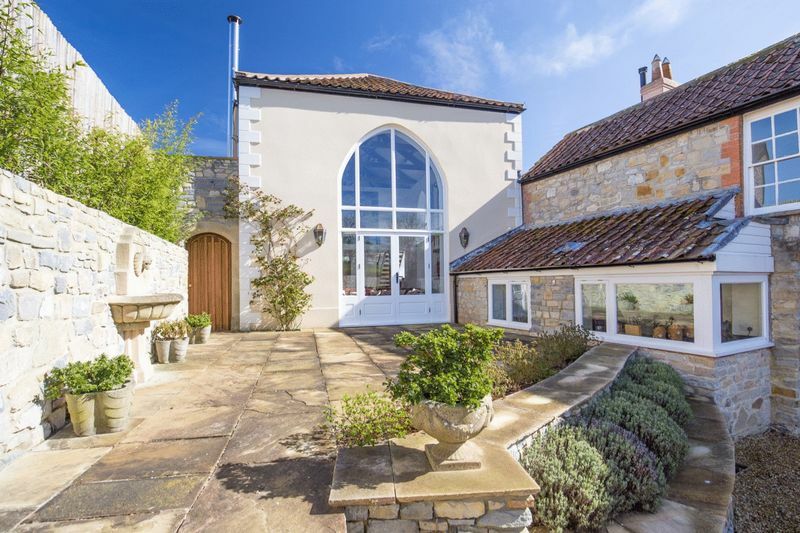 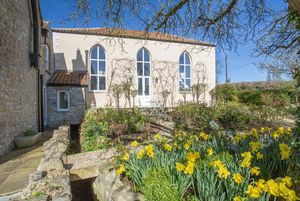 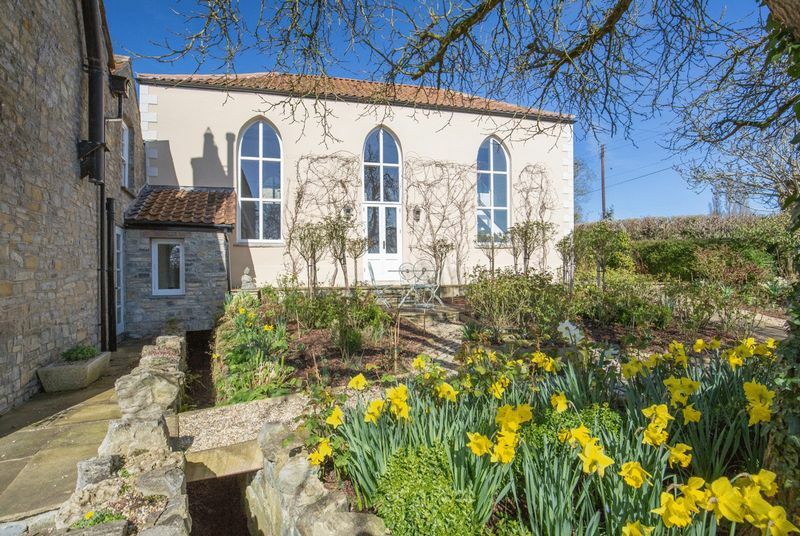 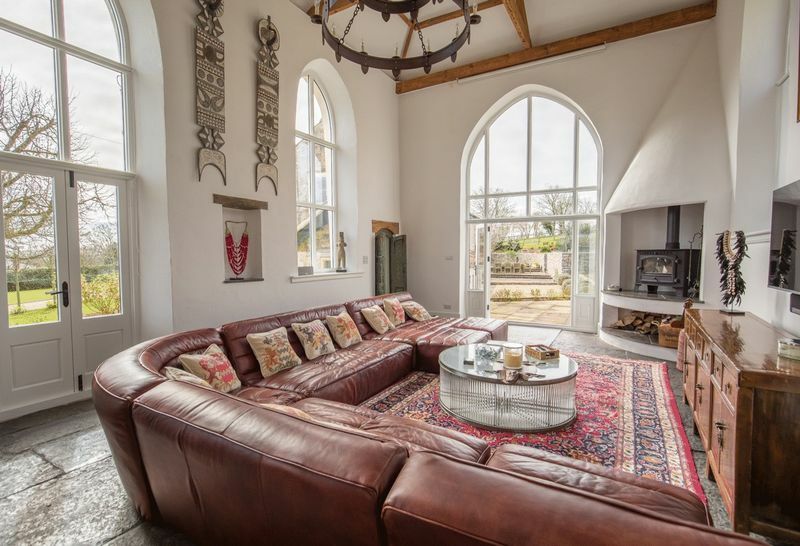 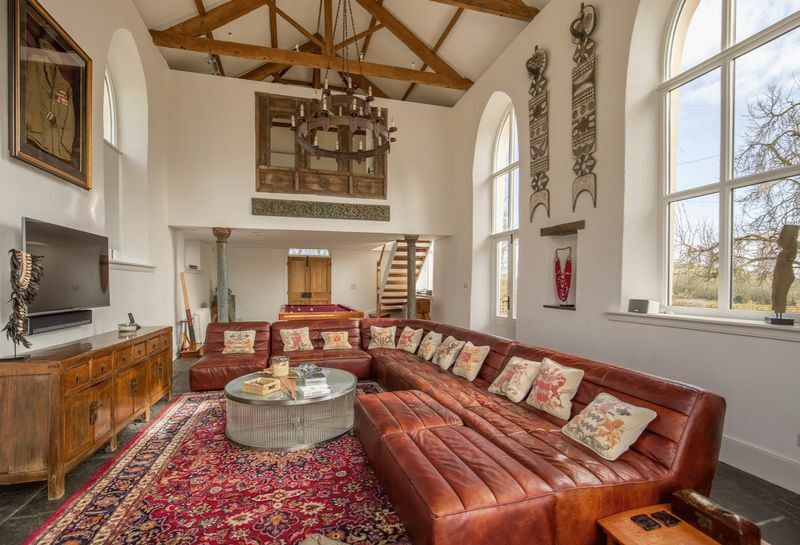 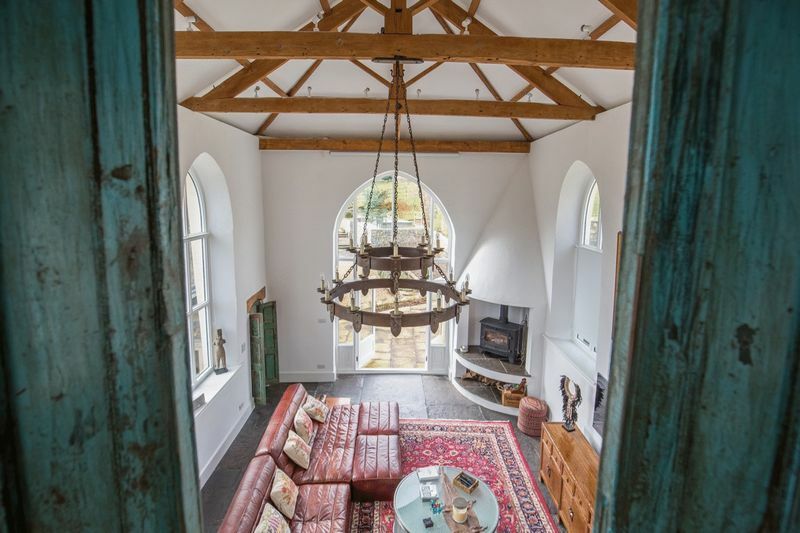 The farmhouse, together with a linked former chapel, includes nearly 5,000 sq.ft. 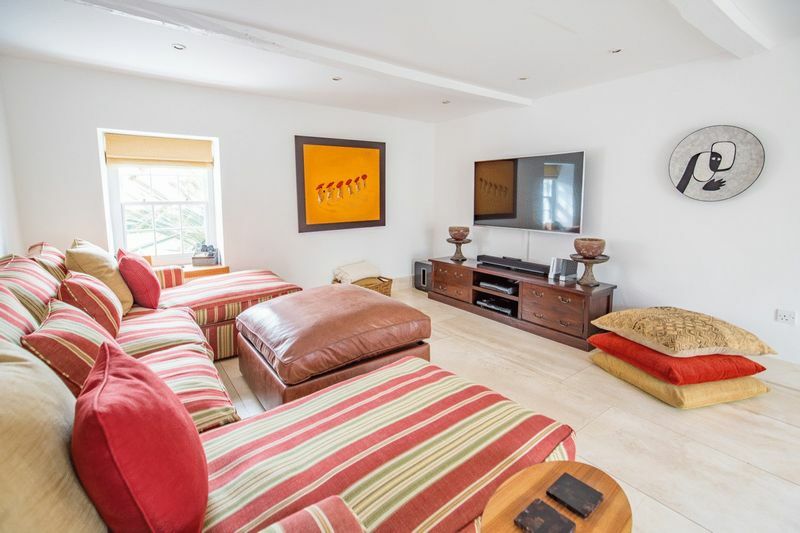 of very generous, well appointed accommodation, completely refurbished to quite exceptional standards. The accommodation includes 4 reception rooms, a super kitchen, utility room, 5 bedrooms, 5 bath/shower rooms plus "The Chapel' with a large sitting/games room, bedroom and bathroom. 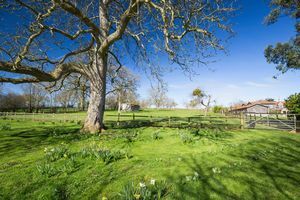 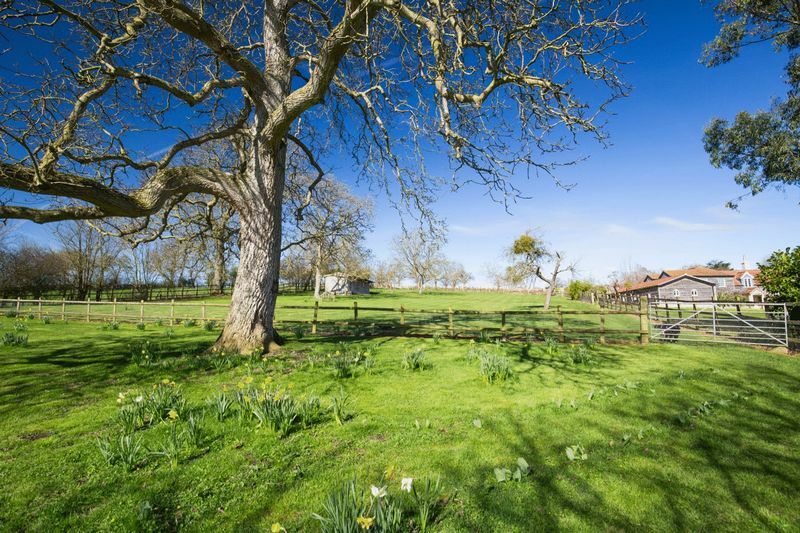 Outside are an oak framed garage and stores, mature well landscaped gardens, stabling and meadows - in all about 2.6 acres. 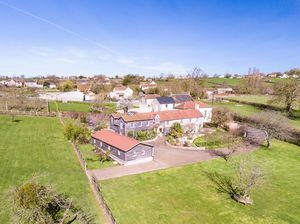 The small village of Pedwell lies close to the larger village of Ashcott which has a village store, primary school, church and two good pubs. 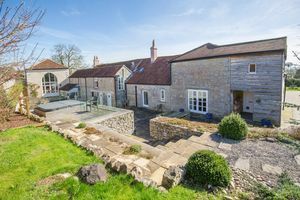 About 3 and 4 miles to the east are the towns of Street and Glastonbury and about 10 miles to the west is the town Bridgwater. 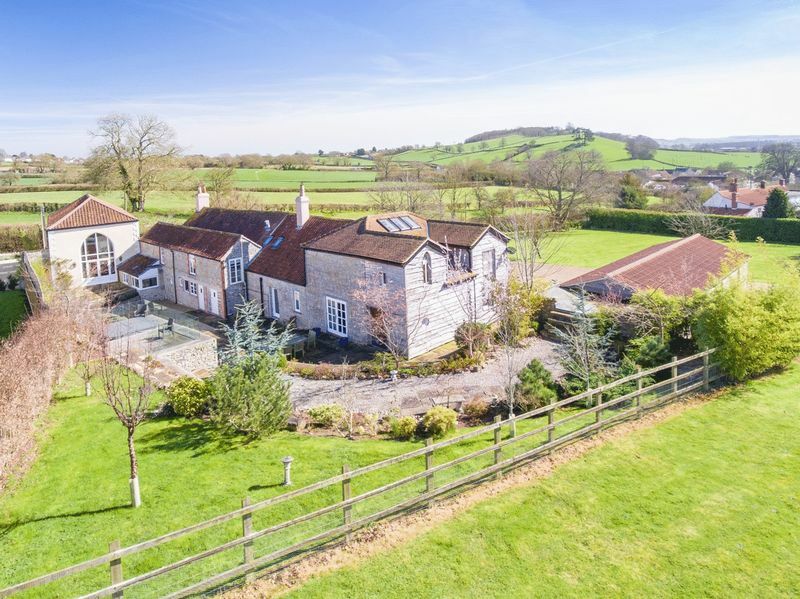 Of note are the excellent selection of state and independent schools in the area including Crispins, Strode College, Shapwick, Hazelgrove, Wells Cathedral, the Taunton schools and of course Millfield. 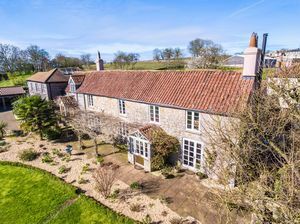 The Old Farmhouse is set in a slightly elevated position on Pedwell Hill, away from busy roads and with lovely views to the south. 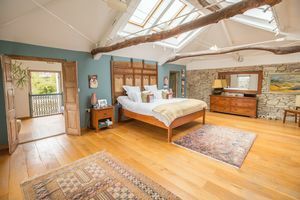 It's a unique and individual property with original period details including flagstones, oak and elm timberwork, an inglenook, a cross beamed ceiling - all enhanced by modern architecture and fittings with oak flooring, high quality tiling, bathroom and kitchen fittings together with gas central heating. 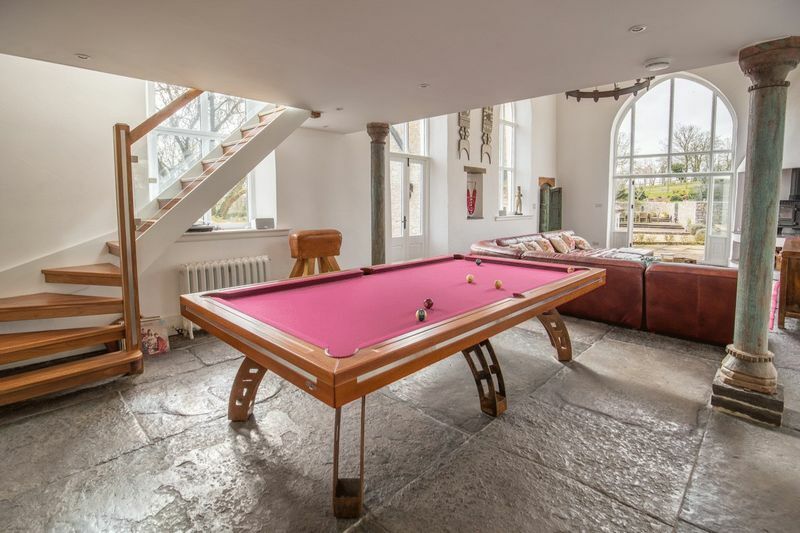 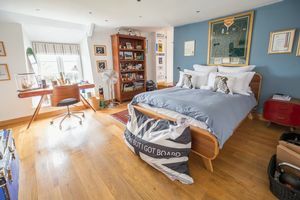 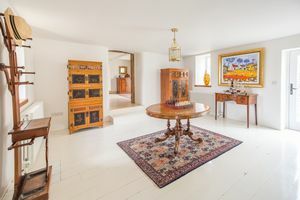 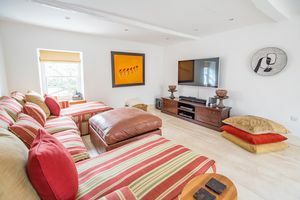 The property has lots of great living space, plenty of bedrooms and bathrooms, a bespoke kitchen and the "chapel" which provides a wonderful sitting/games/living room with a bedroom and bathroom in the gallery above. In all the accommodation is around 430 sq.ms. 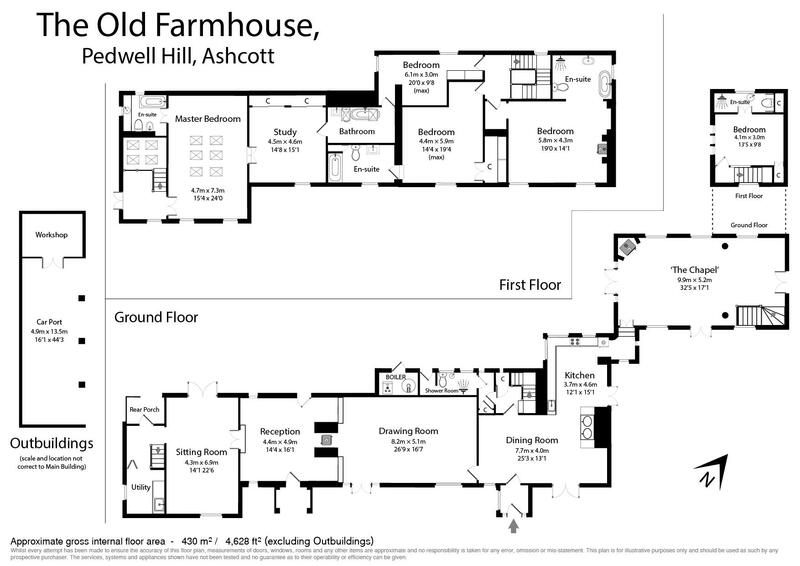 or 4,682sq.ft. 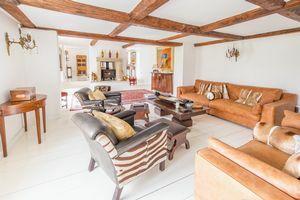 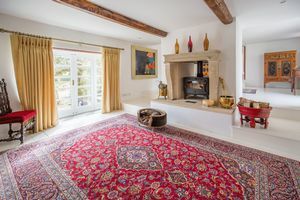 The main entrance leads into the porch and then into the reception hall and drawing room which are connected by two wide openings on each side of a double fireplace with stone surrounds and a central woodburner. These rooms provide a wonderful very light and airy space with painted floorboards and french doors to the gardens. 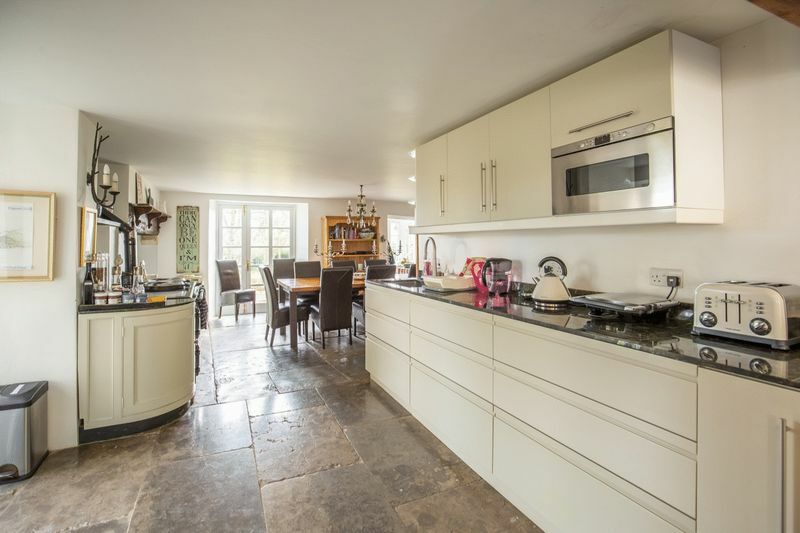 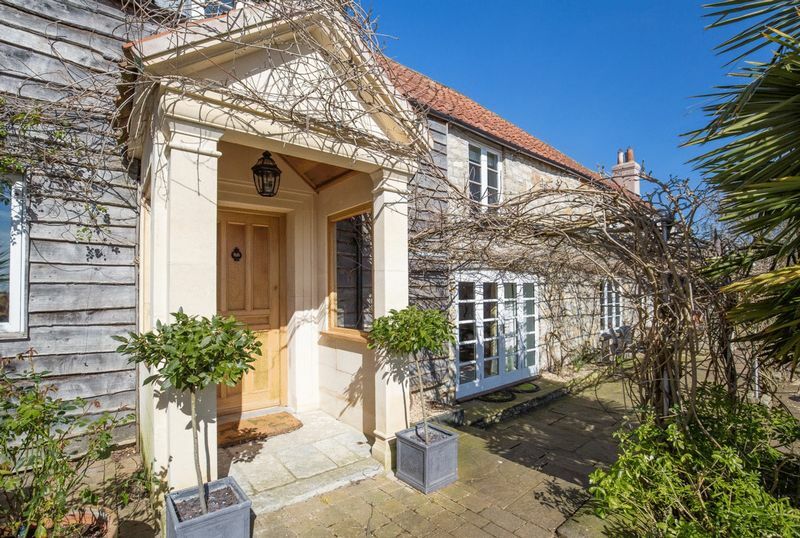 A door leads into the dining room and beyond to the kitchen, all with flagstones, an inglenook, french doors to the garden and another front porch. 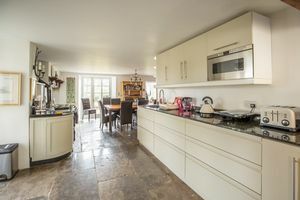 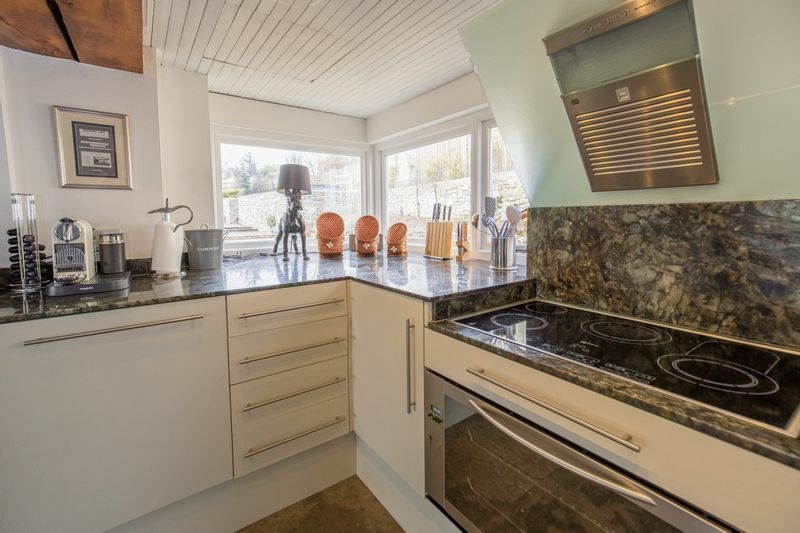 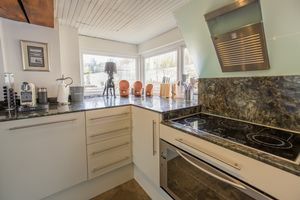 The kitchen fittings include a 4 oven Aga, a large Neff cooker range and extractor, dishwasher, granite work surfaces and an excellent range of units. Returning to the reception hall a door leads into the sitting room and beyond is a hall with a side porch and a utility room/laundry with units and space and plumbing for washing machine etc. 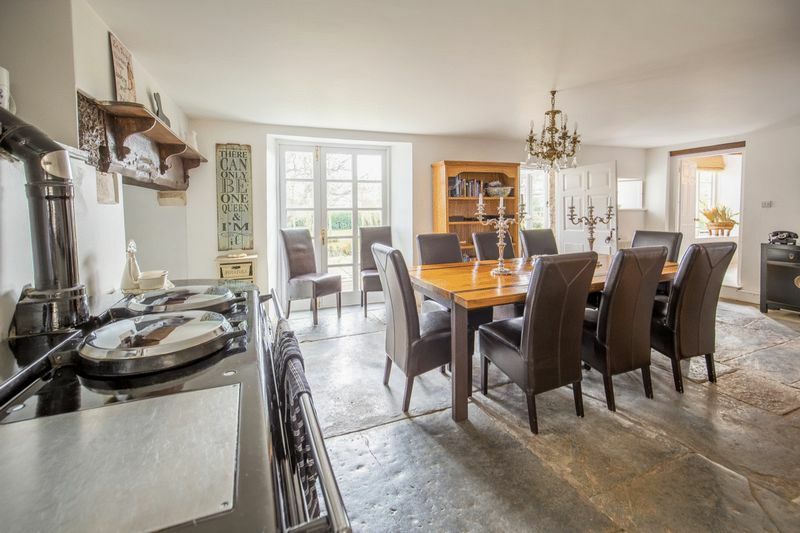 A door leads from the dining room into another inner hall and a tiled wet room/cloakroom. 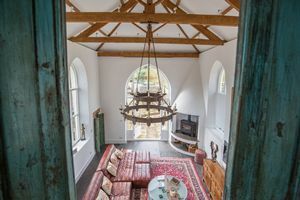 There are two staircases to the first floor. 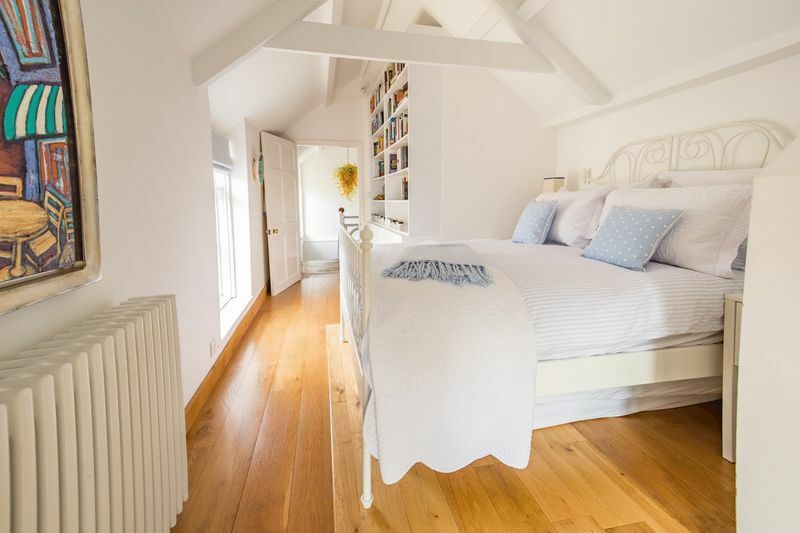 The stairs from the hall off the sitting room lead to a landing and the stunning large master bedroom with windows, a vaulted ceiling with roof lights, exposed beams, oak flooring and an exceptionally well fitted en suite bathroom. 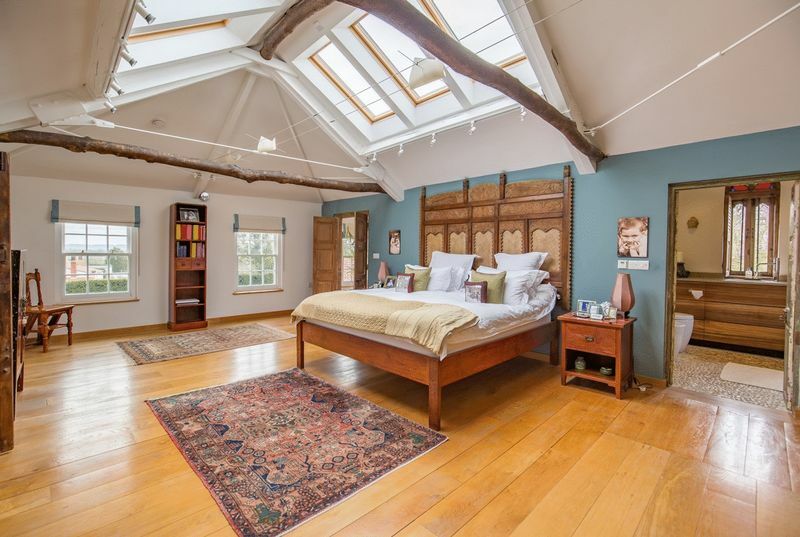 Leading off the bedroom is a study again with a vaulted ceiling, beams and oak flooring. 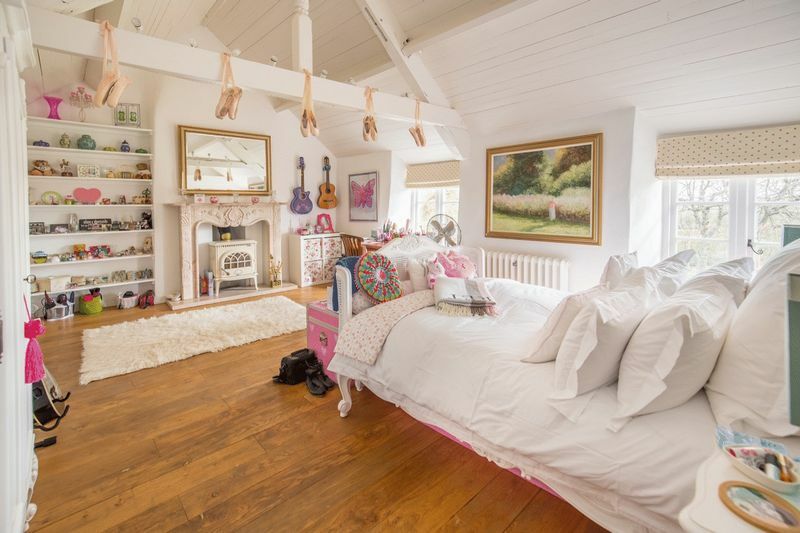 This room is equally suited as bedroom or dressing room. The inner hall off the dining room leads to a landing and the other 3 bedrooms in this part of the house. 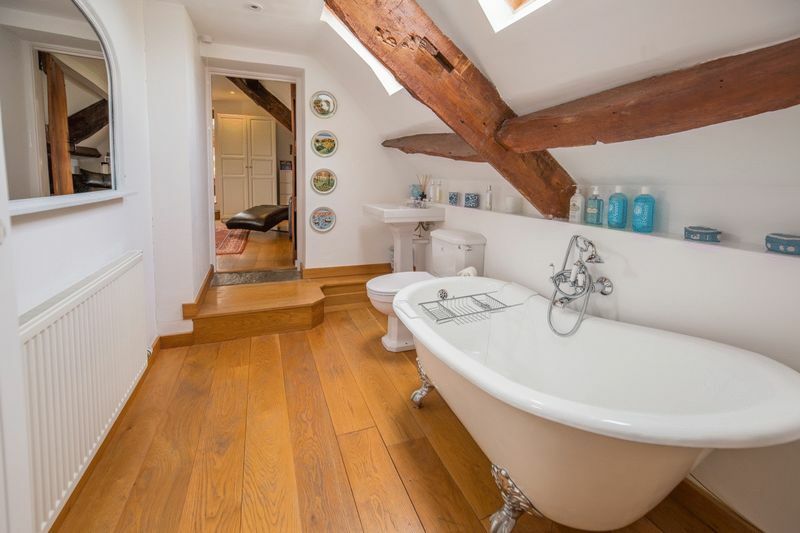 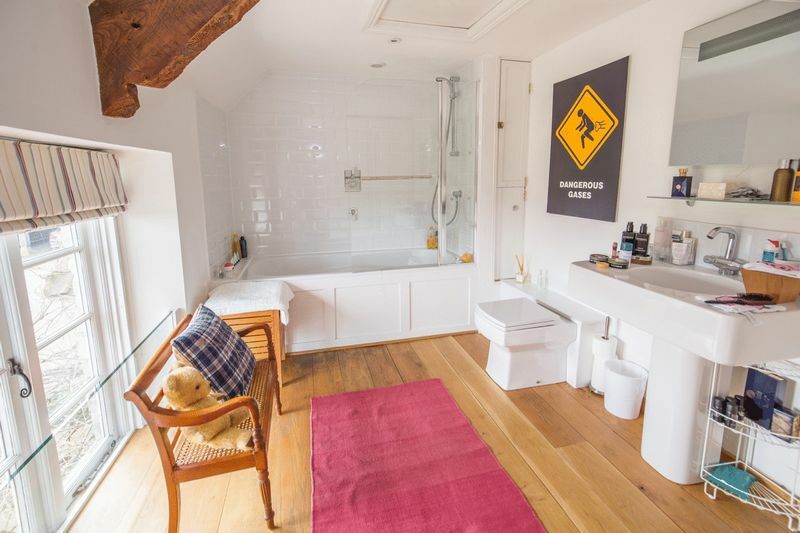 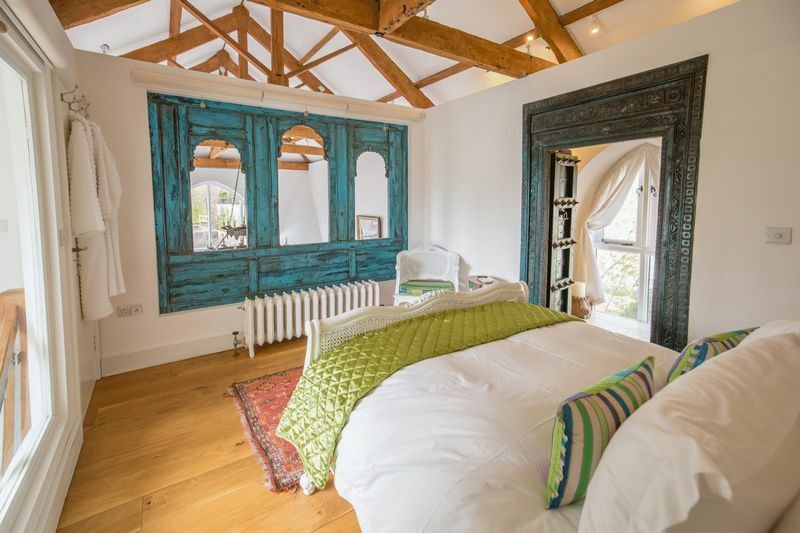 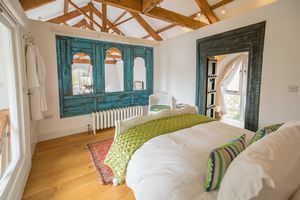 The first of these bedrooms has a vaulted timber panelled ceiling with beams, an oak floor, a fireplace with a wood burner and opens to another splendid bathroom with a bath and separate shower. 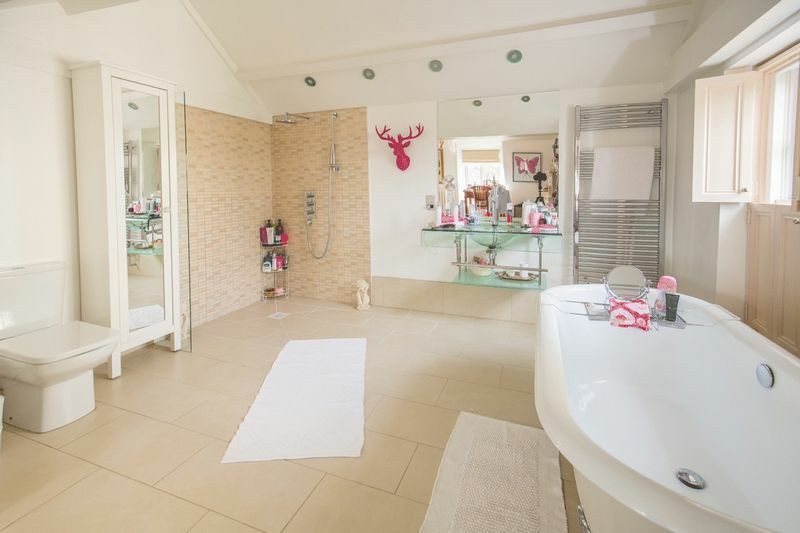 There are two more bedrooms and again each has an excellent en suite bathroom. One of which also has a doorway to the study off the master bedroom. 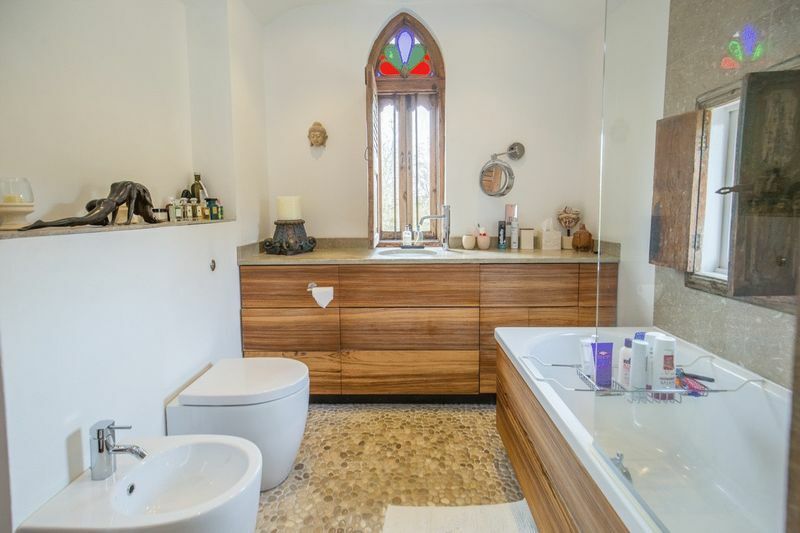 The Chapel is an adjacent building to the house and is internally linked to the kitchen. It's a really appealing and useful living area with a 32 ft open sitting and games room with the main part having flagstones, a woodburner on a raised hearth, a double height vaulted ceiling, high lancet style windows, french doors to the garden and oak entrance doors. 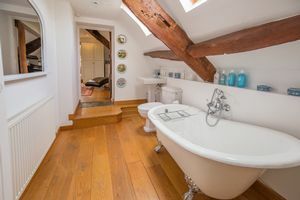 A staircase rises to a first floor gallery area where there is a double bedroom with an en suite shower room. 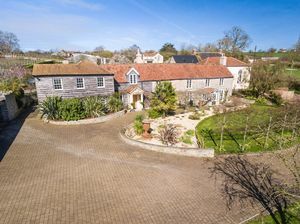 The property is protected by electric vehicle and pedestrian gates with a paved drive leading in to a large parking area and an oak framed garage with 4 bays and a store. 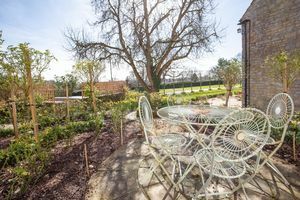 The house looks onto its absolutely delightful well landscaped gardens with paved and gravelled terraces, espaliered trees a wisteria covered walkway and lawns. 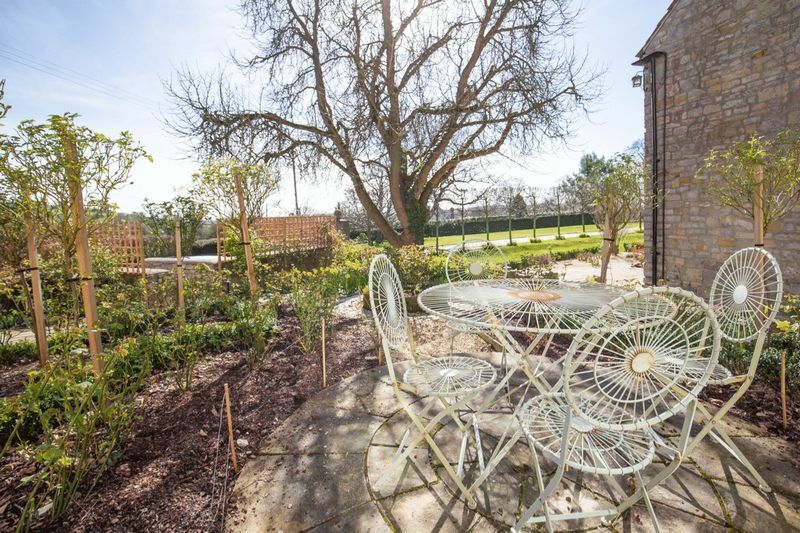 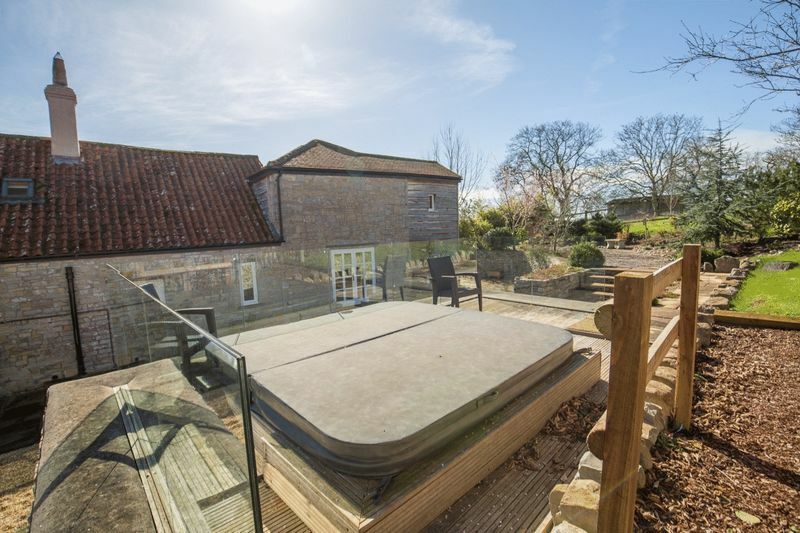 There are equally attractive gardens approached from the chapel with paved terraces, stonewalls, lawns, flower beds, a boules court and a terrace with a hot tub. Beyond the main gardens are 2 paddocks the lower one being planted as an orchard with numerous trees including cherry, apple, hazelnut and pear. 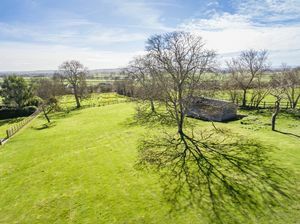 The upper paddock having timber stabling including 2 loose boxes and a tack room. An attractive feature is the stone built sitting area in the highest north west point and which enjoys beautiful views. From Street head westwards past Sainsburys and continue on the A39 until the Pipers restaurant is on the left hand side. Take the second left (about 50 yeards) A361 towards Taunton. On entering the first village which is Pedwell take the right turn onto Pedwell Hill. 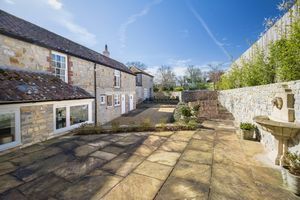 Continue up the hill and property can be found on the left hand side.